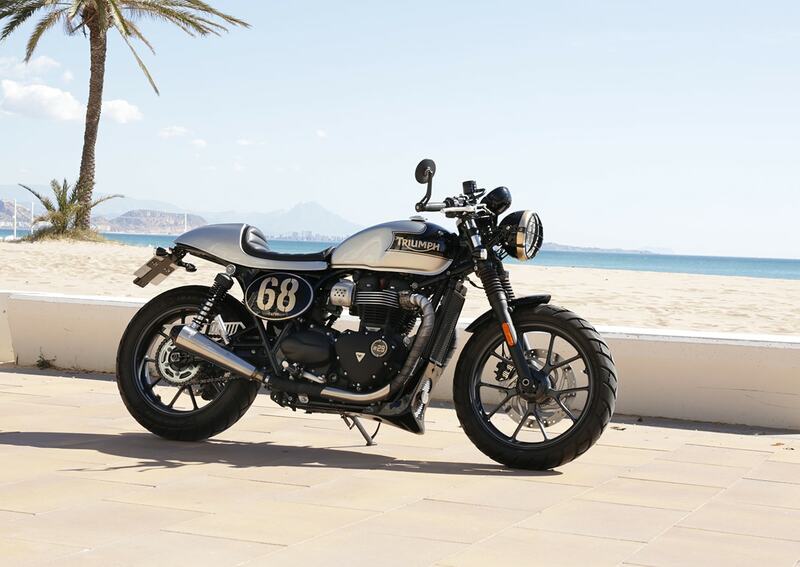 Same way as for the new Triumph Thruxton Range, Tamarit prepared as well a set of parts especially designed to be installed on the other great Modern Classic of this new liquid cooled generation, the Triumph Bonneville T120. Among all this parts arsenal for this motorcycle, it clearly stands out the Bonneville T120 Seat known as “Jerez”, which follows up the same lines as other similar products such as the Jarama seat, or the Mónaco seat. A while after its release, the mould that made and molded all the seats got somehow deformed or shrinked and we unwittingly produced a horrible lot of non-valid seats which couldn't be installed easily by our clients or couldn't be installed at all. After a terrible period of confusion, refunds and returns all around the globe, we had to stop for several weeks the production of this T120 caferacer seat in order to fully erradicate the problem. Thanks to the owners of former Tamarit projects such as Comeback Special or Carlota, these problems fortunately remained in the past on their entirety. As mentioned, we can notice the classic caféracer seat characteristics on the various generations of Triumph Motorcycles which Tamarit Motorcycles works with. 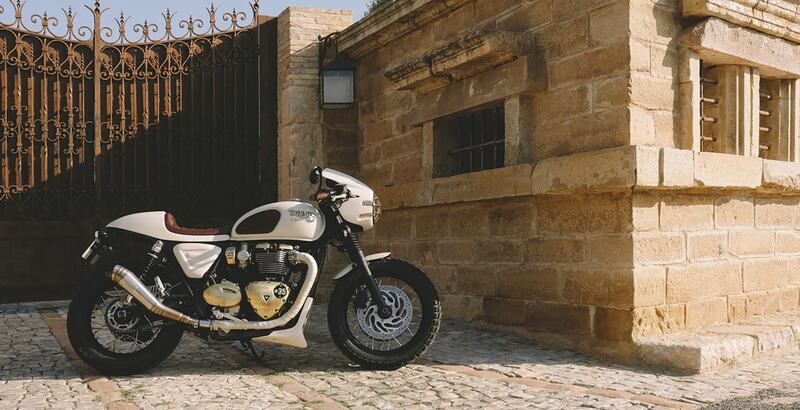 Perhaps the most noticeable trait is the stylized shape, trying to replicate the one existing already on the fuel tank but with slightly differences between the already existing cowls such as, the Jarama (designed for air cooled motorcycles) or the Mónaco ( designed for the Thruxton 1200 and 1200 R ). This seat is made of tough fiberglass, being the cushion made of polyurethane and the upholsery made of nautic fabric, waterproof as well as fireproof. 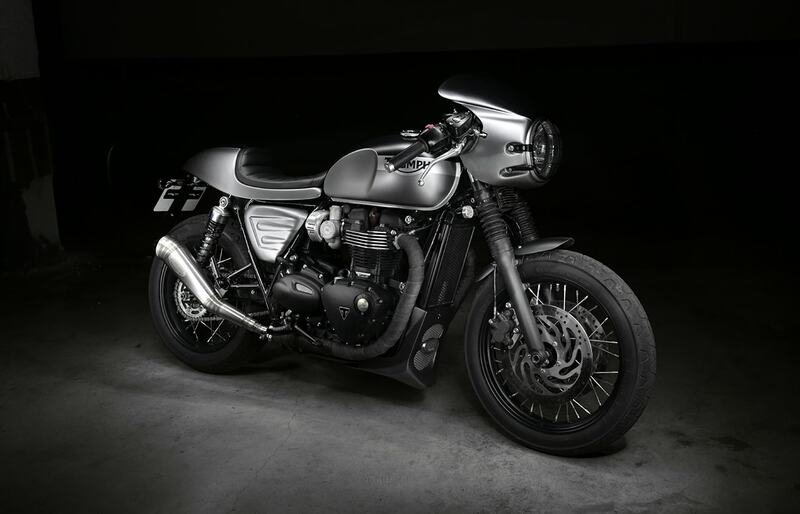 We wanted to adapt to the diverse range that Triumph has designed for the Bonneville models and Street Twin, so Tamarit motorcycle offers then as well the paint service according to the colour of your bike, as well as the option for glossy finish or matt finish. This seat can be also installed on a Street Twin motorcycle, thanks to its polivalent design, since we somehow predicted that the affordable range of Triumph modern classics, due the prize and changeable capacity, would be nothing but a bestseller and a convenient profile of client which worth our atenttion. It should be pointed out that this seat is also valid for the Street CUP variant and every Bonneville edition made from 2016. This Street Twin seat was precisely the main atraction of the project known as Comeback Special, up to date the only project made by Tamarit Motorcycles based on a Triumph Street Twin. During the summer, we got so glad when a famous vlogger from the modern classic collective contacted us to make a review from the Street Twin seat. We sent to the UK a Jerez Seat in order to be thoroughly inspected and rewieved on his YouTube channel. The street twin seat has already seen by thousands of people thanks to his video. How to install the bonneville caferacer seat? The T120 Seat it's installed the same way as the default seat since it comes with the same system and locking mechanism. 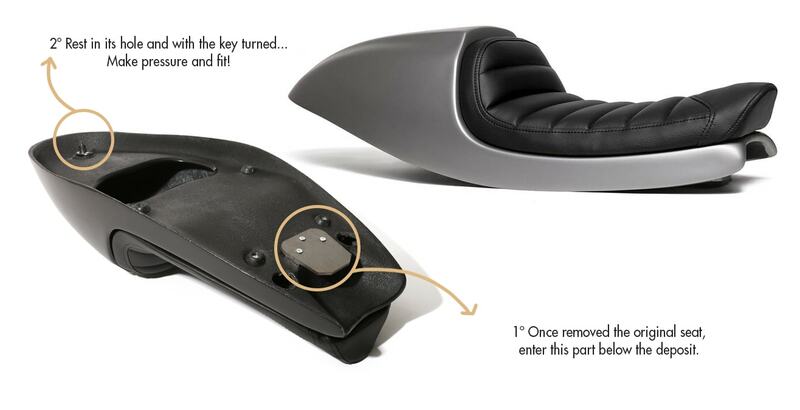 You just have to remove the stock seat by turning the ignition key and then locking the bonneville caferacer seat first by the front and then gently pushing the back down to the frame until the spike is inserted into the latch which is turned by the ignition key as mentioned before.